From 1918 to 1922, engineering know-how in Soviet Russia came into place, but both manpower and resources for any kind of vehicle industry were insufficient. 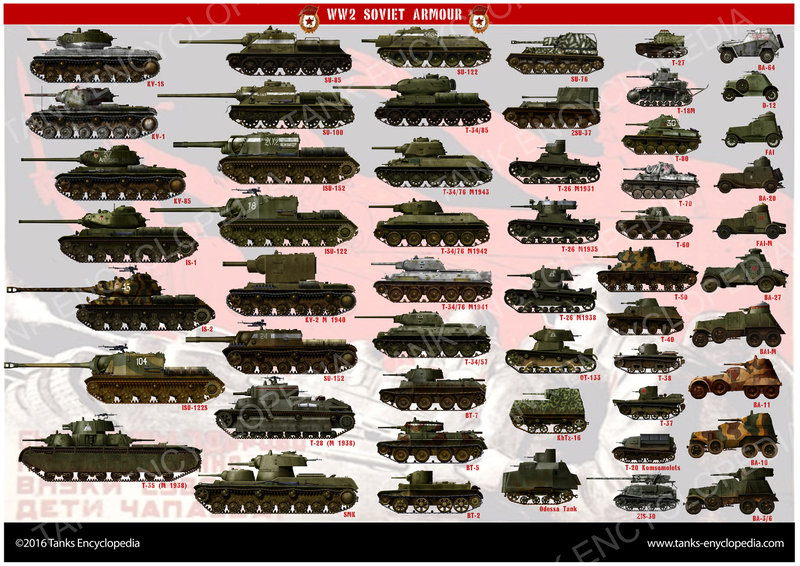 Nevertheless, the Red Army maintained about 300 armored cars of various types, ranging from the most common Austin to a sea of prototypes and unfinished concepts from Bylinski, Filatov and other Russian military engineers. Virtually all this material was badly in need of repair, and some were even due for scrapping due to their excessive wear. 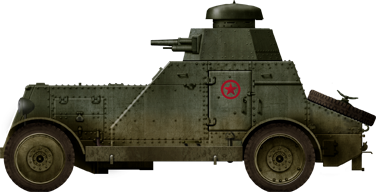 Of course, no new model was available, but the engineers from the department of Ordnance Directorate of the Red Army began to develop the first Soviet armored car in 1925. Their proposition was based on the chassis of the German Daimler 2C truck. 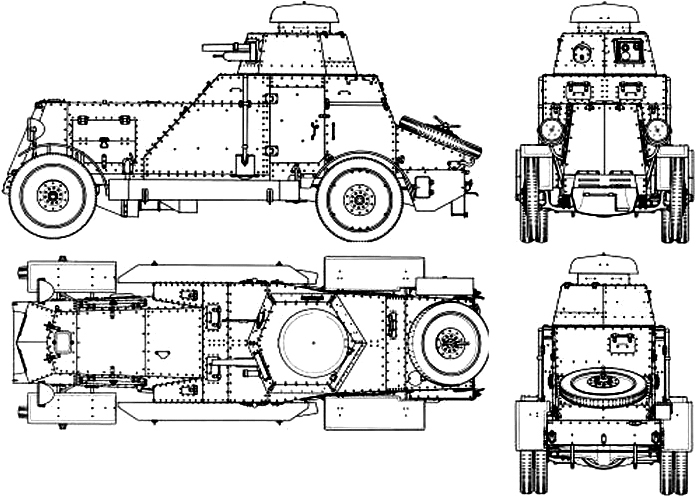 However, this idea was not favored and the Red Army Ordnance Department directed the GUVP (General Directorate of Military Industry) to use a domestic chassis instead. The AMO F15 GUVP project of 1926 would have had a combat weight of about 2000 kg, 4/8 mm (0.16-0.31 in) strong armor and twin 6.5 mm (0.25 in) machine guns of the Fedorov system mounted in a traversing turret. However, it was rejected. During the winter of 1927, the Red Army Artillery Committee member A.Rozhkov was asked to develop his own project, taking into account all the requirements of the military. The locally-built AMO F15 chassis was found unsuitable and Rozhkov asked engineers and B.Strokanova E.Vazhinskogo to upgrade it. The new AMO F15SP (special) chassis was ready by summer and construction and testing took place quickly. This chassis had a greater angle of inclination of the steering column, redesigned front pedals, modified gearshift and brakes, among other modifications, with the latter addition of reverse drive, a WWI feature. 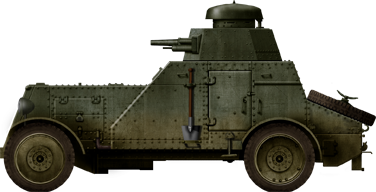 After approval, the Rozhkov project was transferred, along with its blueprints, for completion as an armored car under the ordnance BA-27 name. At the end of 1927, the Izhorskiy factory started production of the final model. The hull was riveted with 3 to 8 mm (0.12-0.31 in) rolled steel plate armor. There was a front engine compartment and rear fighting one. The turret was clearly inspired by that of the T-18 light tank model, hexagonal in shape and topped with an observation “mushroom” type cupola. An armored box with a searchlight was attached to the left side. The driver had two hatches with observation slits, closed by two small flaps in the front hull. The stern was similarly arranged for reverse drive. A spare wheel was also carried on the rear end. The B-27 engine had a carburetor capacity of 35 hp and the air flowed through special tray and shutters in the front armor plate. There was a battery located in a box under the right side bottom. Final armament comprised a 37 mm (1.46 in) PS-1 gun and a 6.5 mm (0.26 in) machine gun. The latter was replaced by a 7.62 mm (0.3 in) Degtyarev. A first batch of 54 vehicles was ordered on January 6, 1928. In addition, 20 more were later expected for December 1928. 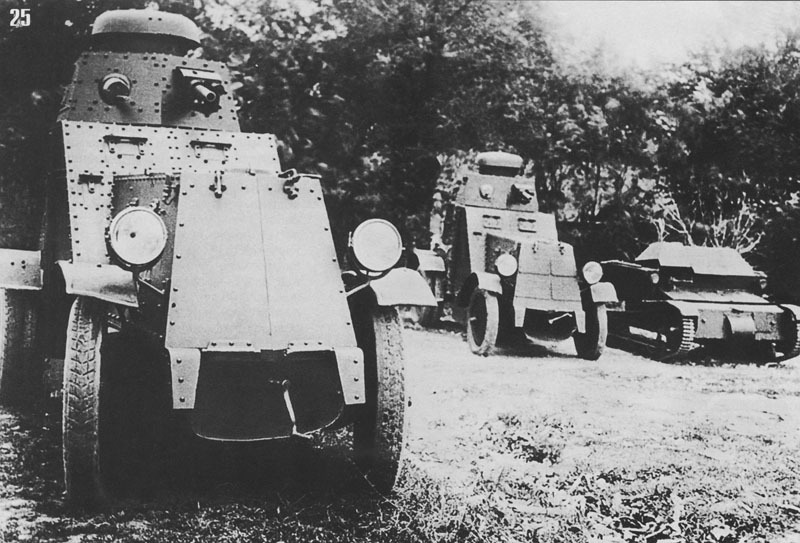 By March 20, 1928, the first tests of the production vehicles were found very satisfactory, but a few changes were asked, followed by a test course of 56 km (35 mi). These trials showed some deficiencies and triggered further modifications. Maximum speed attained was only 45 km/h (28 mph), 30 km/h (18.7 mph) speed was more common and 13.5 km/h (8.4 mph) in reverse. Fire tests urged the adoption of the 7.62 mm (0.3 in) Degtyarev with a new mounting, increasing accuracy. 63 cartridge racks were provided and a bag for collecting spent ammo added. The ball mount was modified, as well as the optical sight. 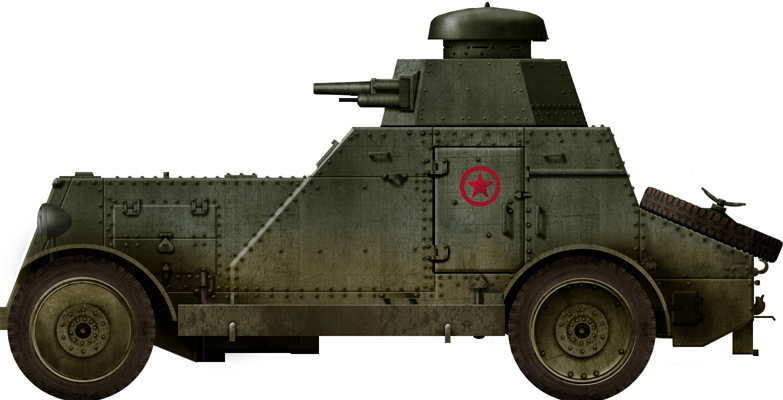 In June 1928, the Red Army performed other technical tests, which resulted in production modifications: improved protection and better access of the engine, the heavy searchlight was replaced by a small spotlight in an indoor folding hatch, smaller lights without covers, complete recline for the turret top, divided gasoline line and a 50 mm (1.97 in) higher driver’s seat. The modified model test course was 627 km (390 mi), including 59.4 km (37 mi) off-road. The ride quality was considered satisfactory. Since the first batch was just started, modifications were applied on the run without long delays. In October, the first 20 were commissioned, followed by 12 in November, 8 in December and the remainder in January, with some differences, 30 having 1922 old 4-7 mm (0.16-0.28 in) armor plates. By 1931, a total of 215 had been delivered. 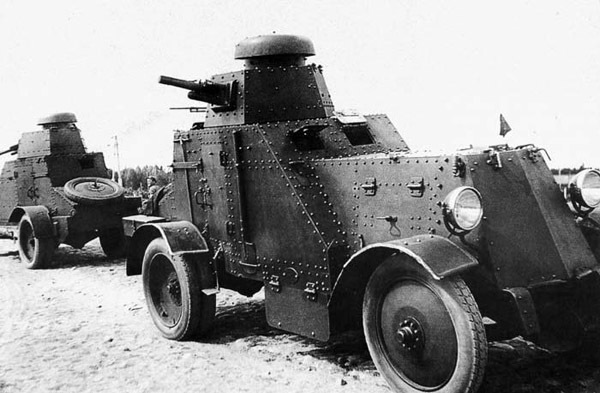 In active service, the BA-27 was given to all reconnaissance units previously equipped with WW1-era armored car models. The chassis proved too fragile in practice, as it was derived from the FIAT F-15 lorry. The last batch was subsequently based on the Ford Model AA truck chassis, which was still found insufficient. 20 vehicles were later taken over and based on a new three-axle Ford-Timken truck chassis at Repair Base No.2. The BA-27M, as it was known, was a source of inspiration for future models, including the BAI-M. By June 1941, 191 BA-27s were still in service, but mostly stuck to roads since their off-road capabilities were limited, and both protection and firepower were found insufficient. Some were however captured and briefly pressed into German service. 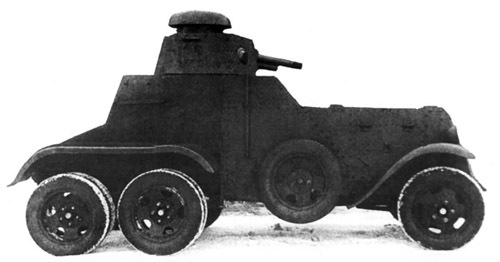 BA-27, motorized unit of the 11th Rifle Division, Leningrad Military district, 1931. BA-27 used as a training vehicle in the summer of 1941. BA-27M in 1939. Only 20 were built, but influenced future models like the BAI-M.